Here is a list of items that may be helpful while camping on Culebra. Keep in mind that publicos may charge you for excess gear if it takes up a seat that could otherwise occupied by paying passengers. Even if there is not another passenger aboard, publicos routinely charge for excess baggage, and so do taxis. Publico prices, click to enlarge. Most gear can be purchased in Puerto Rico at various stores. There are a couple of Wal-Marts that are on the main island. 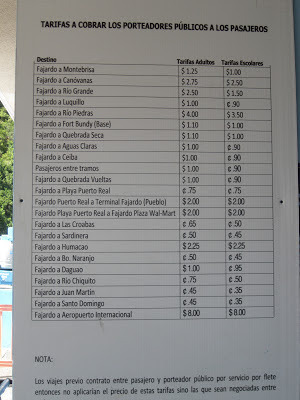 Publicos run from the ferry terminal in Fajardo to the nearest Wal-Mart for a few dollars. This may be the cheapest and easiest way to get gear instead of paying to have it checked on the airplane and/or renting it at Flamenco beach. Keep in mind that campfires are not allowed either in the campsite or on the beach. __ Bug Spray (consider something without DEET). __ Soap (consider an environmentally friendly soap). __ Water jug (or purchase water and reuse the jug). 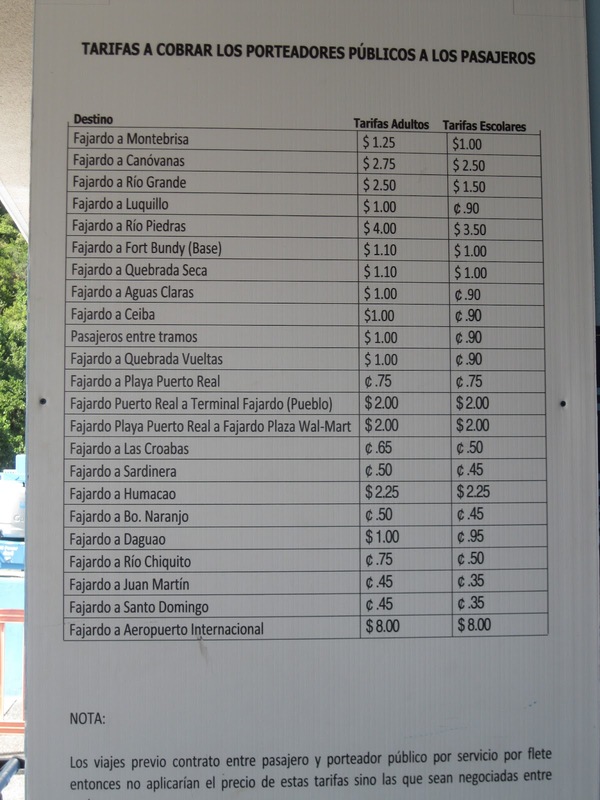 __ (fuel can not be brought on the ferry but can be purchased on Culebra). __ Blankets (nights can be somewhat cold in the winter, especially if sleeping on a hammock). __ Cash (there are a couple of ATMs and a bank in Dewey, but most kiosks are cash only). __ Toilet paper (this is generally not provided in the restrooms). A basic campsite set up. Also, you may want to bring other items, such as candles, a lighter, musical instrument, books, fishing gear (some people fish while camping). A knife works well for prying the top off a wild coconut and cutting it to get the juice out. The longer you are camping, the more gear you may want to bring. If you are camping for only a couple of days, you may want to consider packing as light as possible while still getting the necessities. Keep in mind that a small tent is easier to pack than a large one. Also, some areas are very windy, especially during the change of seasons, so do not forget tent stakes and rope. Basic sundries, such as toothpaste, toothbrushes, soap, sunscreen, toilet paper and the like can be purchased on Culebra. 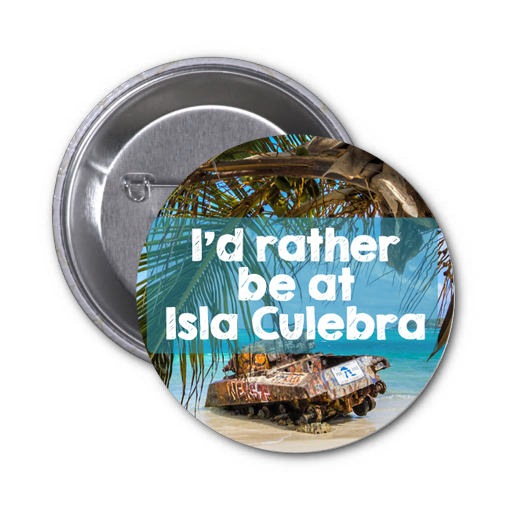 Some of these can be purchased at the nearby Colmado and others can easily be found at one of Culebra's grocery stores. wow! very good. It was very good to see Camping Checklist. It’s a very useful post. thanks for the efforts. Camping check list has been prepared with the help of essay services reviews the camp instructor and commander. Role of the camping list has been crucial for the stream lining of the factors and items for the success of the whole process. cheap dissertation writing services are actually the effort made for students to buy these services from their pockets easily.